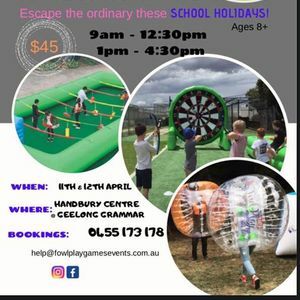 Bookings are now open for our first holiday program @ Geelong Grammar, Handbury Centre on the 11th - 12th of April. You can make a booking by emailing us, providing your details and choosing your preferred session time - morning,afternoon or both. Parents/Guardians can also participate and will need to purchase a ticket. There will be a 30min briefing on how to best safely use our equipment prior to the commencement of activities. 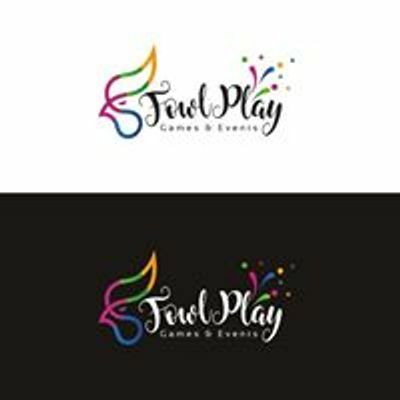 Our program features activities aimed at engaging participant's in a variety of fun + active games in a safe environment that makes the most of their natural skills. 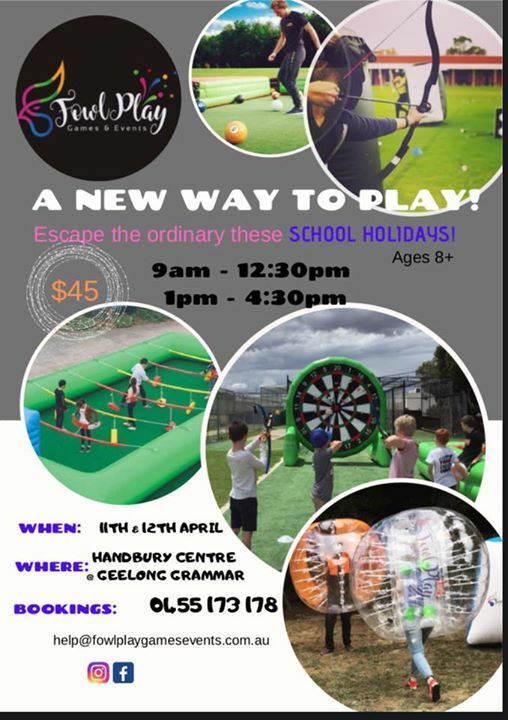 Our activities include HUMAN FOOSBALL, GIANT DARTS, BUBBLE SOCCER, BUBBLE RACES, ARCHERY BATTLE & SNOOKBALL!! We have a maximum of 90 spots per session each day and encourage you to book early not to miss out! IF YOU ARE INTERESTED IN ORDERING FOOD. There will be bbq food available. Cheese Burgers, Hot Dogs, Chicken Skewers and water ONLY. Vegetarian & Vegan option available on request. Note : Pre orders ONLY. You can add your choice of food when you send in your booking session preferance. There will be no cash collected on activity days.